Aesthetics – is conveniently located in the Tyger Waterfront in Cape Town, South Africa. Aesthetics specializes in the field of anti-ageing and aesthetic medicine. Qualified skin therapists, under medical supervision, offer a wide range of skin rejuvenation and beauty treatments to clients. Dr le Grange works with Aesthetics, providing his patients with a full range of anti-ageing treatments including Botox, Mesotherapy, Dermal Fillers, Collagen Induction, Chemical peels and other Facial Rejuvenation Treatments. Dr le Grange also has a special interest in treating unsightly leg veins, like varicose veins and spider veins, using Sclerotherapy. Dr Nardus le Grange qualified as a medical doctor at Stellenbosch University in 1991, after which he traveled extensively overseas, working in various fields. It was here that he developed a special interest in the treatment of varicose veins and in broader aesthetic medicine. In 1998 he started The Leg Vein Clinic in Cape Town, treating varicose and spider veins using the method of Sclerotherapy. He then branched into various other cosmetic treatments, focusing mainly on BOTOX, chemical peeling, soft tissue augmentation, mesotherapy, collagen induction (surgical needling), and other Facial Rejuvenation Treatments. Dr Le Grange trains medical doctors in the Western Cape and Gauteng in various treatments, including practical training in soft tissue filling techniques, the usage of botulinum toxin, and Sclerotherapy to treat varicose veins and telangiectasia. He has been interviewed on television programs like Top Billing and Pillow Talk, and has been a guest speaker on radio stations like RSG and Radio Tygerberg. He is regularly invited to give talks on aesthetic medicine to large groups, like the annual Rooi Rose Women’s Day. He has featured in magazines including Rooi Rose, Sarie, Fair Lady, Ideas Magazine, Intimacy, etc. as part of make-over teams, or in other articles specific to his field of medicine. Since 2005 Dr Le Grange has been a regular speaker at the annual Aesthetic Medicine Congress South Africa. He is also on the board of the Aesthetic and Anti-Ageing Medicine Society of South Africa. 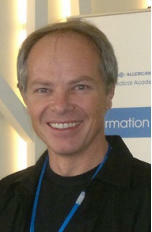 He is co-author of articles in medical journals, together with Prof. Don du Toit of the University of Stellenbosch.